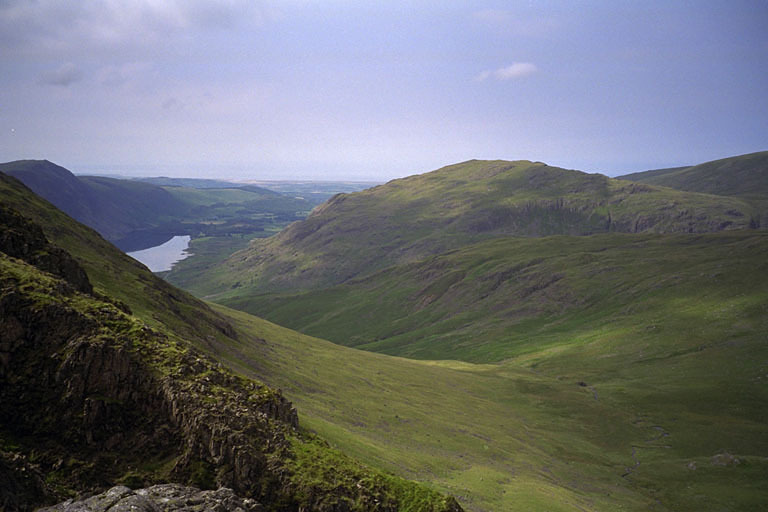 The slopes of Yewbarrow appear on the left sweeping down to Over Beck in the valley. Wastwater appears in the distance with Whin Rigg and the screes on its left. Middle Fell is right of centre and the slopes of Seatallan on the extreme right. Smaller version of this picture.